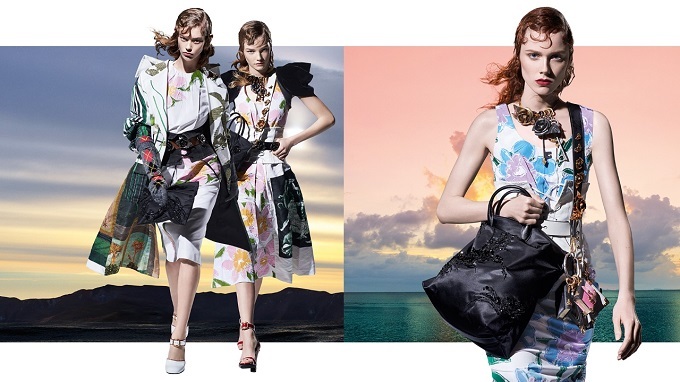 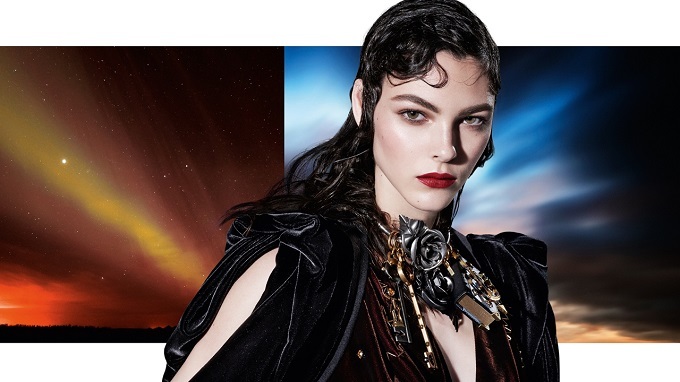 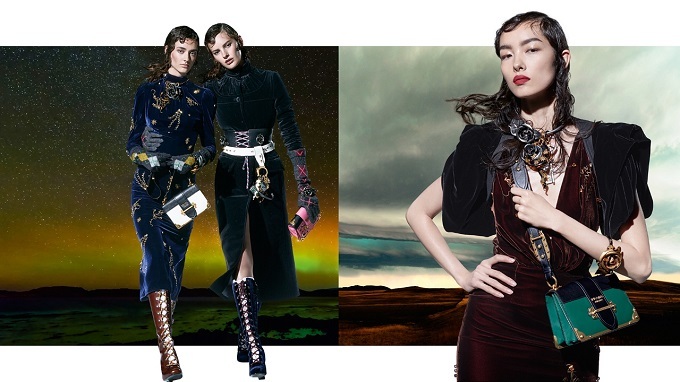 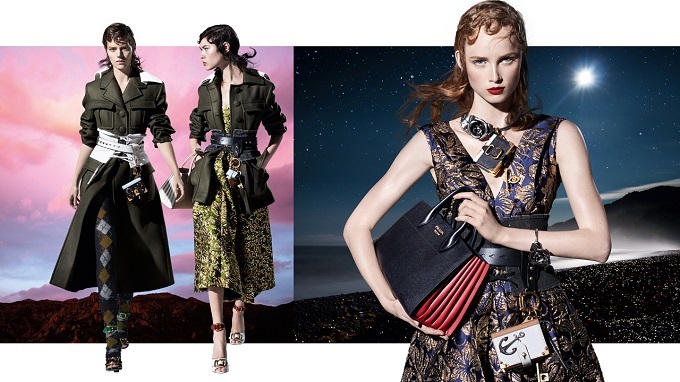 Prada previews its Fall/Winter 2016 Womenswear Campaign starring 27 top models set against vivid celestial backgrounds. 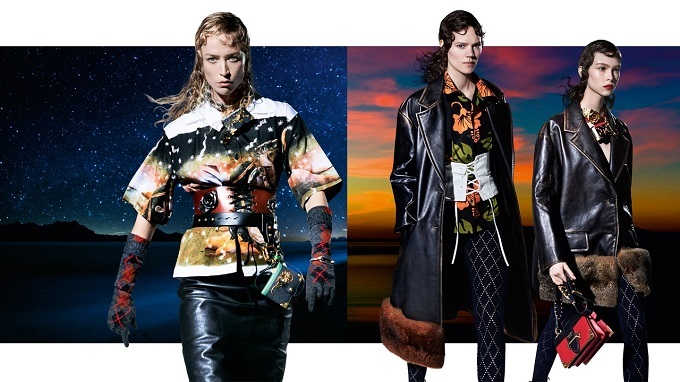 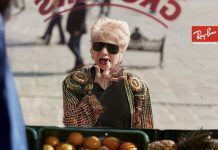 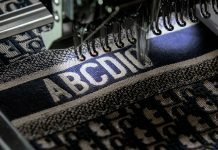 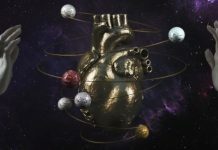 “The campaign introduces Miuccia Prada’s highly regarded collection that takes as its subject the current cultural bricolage where every code, every style, every fragment in fashion history, and every personal experience, is equally present and available to the designer. 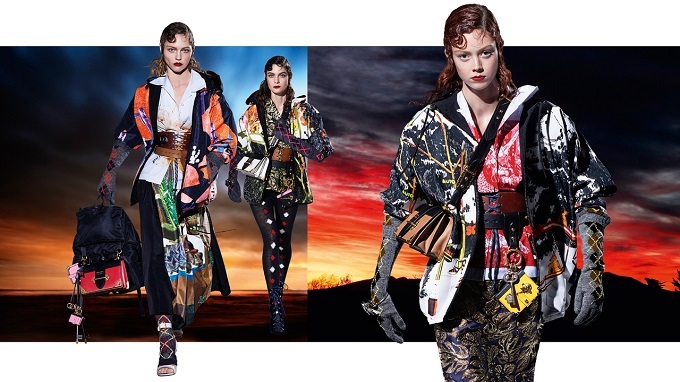 The ensembles juxtapose radically divergent shards of silhouette, materiality, technique, and accessories in exuberant compositions: prints, argyles, lames, quilting, heavy knits, brocade, nylon, illustration, leather, satin, velvet, all have their place”. 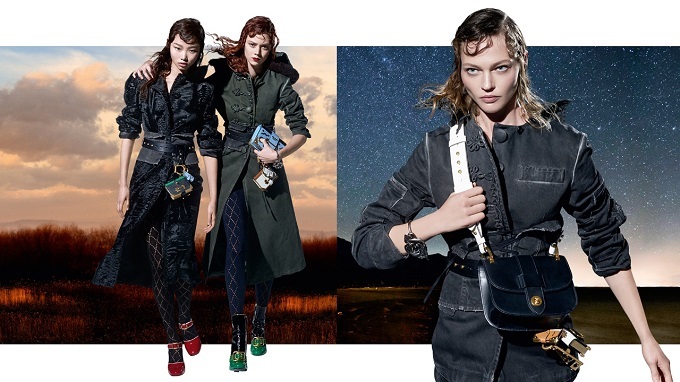 The campaign shot by Steven Meisel will feature Roos Abels, Noemie Abigail, Vanessa Axente, Lexi Boling, Freja Beha Erichsen, Vittoria Ceretti, Yoon Young Bae, Sara Dijkink, Danielle Ellsworth, Angelica Erthal, Paulina Frankowska, Amanda Googe, Caitie Greene, Ondria Hardin, Milla Jovovich, Lorena Maraschi, Amanda Murphy, Londone Myers, Julia Nobis, Marina Perez, Sasha Pivovarova, Fei Fei Sun, Stella Tennant, Rianne Van Rompaey, Natalie Westling, Kiki Willems, and Raquel Zimmermann.